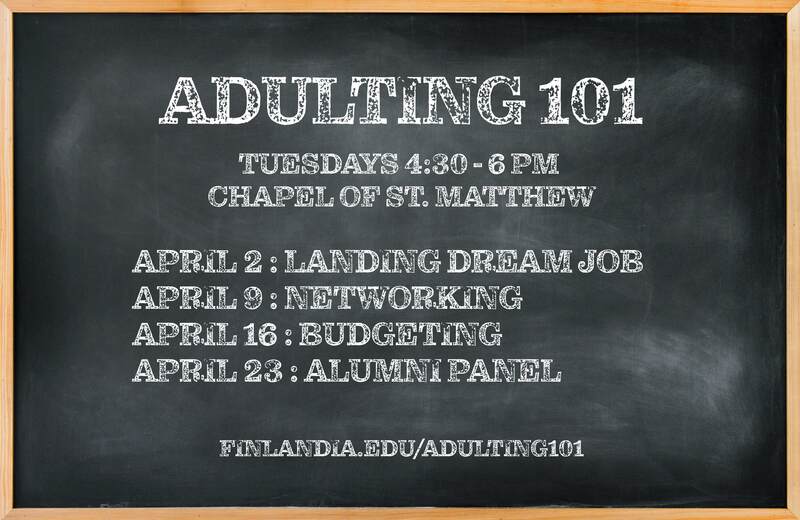 Adulting 101 Workshop – designed to help students navigate “the real world” after graduation. 4 sessions in April, Tuesdays from 4:30-6pm at St. Matthew Chapel. Students encouraged to bring laptops/computers. No need to sign up, just drop in. Open to anyone who is interested. Snacks provided.